Al's Tree Surgery specialise in an Expert and Professional Tree Pruning service. We have qualified Tree Surgeons, that are fully insured, with up to 10 million pounds cover to perform this type of tree work for our company. We offer our tree care services through out Essex and London areas, as well as the surrounding counties. 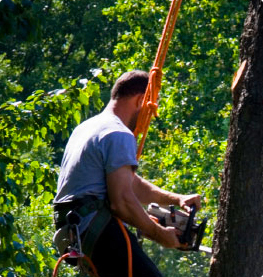 Tree pruning is a specialist job that we would recommend only qualified arborists perform. The best surgery for your tree/trees is generally requested or needed for three main reasons. These are for health, safety and aesthetics, although additionally it can be to stimulate fruit production on particular tree species or to encourage regrowth from dying trees. Tree pruning for safety involves the removing of branches that are at risk of falling causing injury or damage to property or public (please also look at our page on dangerous and storm damaged trees for more info). 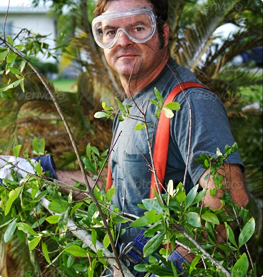 This type of tree pruning services will also include cutting/trimming branches that interfere with telephone lines, satellite tv dishes or are growing in to utility lines e.g electricity cables in the street It is advisable that a professional insured and qualified tree surgeon perform this type of tree work as it can be dangerous to property and public. Tree pruning for health is about the removal of decayed/disease or insect infected wood, it is again in our opinion important that this is done correctly and that an expert tree surgeon perform this type of tree work as further infection or disease should be prevented by technique where possible and the dangers of working with weakened branches should be well known by the individual working with a tree. It is also important that a tree surgeon protect by cleaning of equipment before reuse on another tree.Thinning the crown of the tree to increase airflow and light (please also look at our page on Tree thinning), and removing crossing and rubbing branches to prevent future disease infecting the tree.This type of tree care can encourage trees to develop a strong structure and reduce the risk of damage from severe weather conditions e.g wind blown trees from to much wind sail normally in October winds and support wound closure for any already damaged or diseased limbs. An expert tree specialist can identify ways in which a tree can be maintained for good health. In some cases tree owners wish to prune their tree for aesthetics, enhancing the natural form and character of the tree and stimulating production. This form of tree pruning is quite commonly done in both mature gardens and as part of newer projects when developing and designing a garden space. As an expert tree service we do not judge our clients for their choices and do not consider it wrong to want a tree pruned for aesthetic reasons. We believe that trees can bring great pleasure to people and are happy to be involved with maximising the potential of a tree and having the opportunity to offer our expert opinion and advise when needed. Although the reasons for pruning a tree can be easily broken down, it is most likely that a tree will need pruning for a combination of reasons. As Tree care specialists, we hope that our open and friendly service will allow tree owners to feel welcome to discuss their needs and find a suitable approach to pruning their tree. Tree pruning can be approached in two different ways. For younger trees your tree specialist will be looking to encourage and produce a strong structure for the future of the tree, whilst with mature trees the emphasis is shifted to maintaining the form, health and appearance of the tree. Most commonly practiced tree surgery for this type of work include Tree bracing, Crown thinning, Crown raising or lifting and Crown reductions or worst case situations pollarding. These techniques can be used on a younger and more mature trees only if an expert tree surgeon has identified the works that need to be carried out . 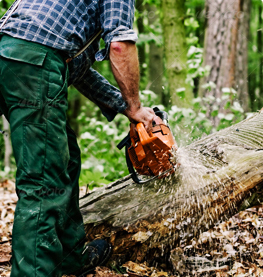 Like with many other methods of tree surgery, there are specialist techniques and cuts used to maintain the health of your tree. A tree care specialist will use the same pruning cuts for both dead and live branches e.g back to branch collar allowing for the shortest possible healing time for the tree. A Tree care specialist will also be looking at the root growth of a tree and may look to prune a tree to control the growth and spread of the roots of a tree and will aim to offer a pruning service that will allow trees to be maintained when it is possible to do so. At Al's Tree Surgery our experienced tree specialists ensure that improper pruning cuts do not happen this is because we pride our quality of work and customer care. Tree care services offered at Al's Tree Surgery will help tree owners feel supported, comfortable and reassured that they are making the best possible decision.